Kitab Al-Kasb (Part 14): The Ranks of Earning and Their Legal Rulings. On every Wednesday, I will share a part of the translation of the book Kitab Al-Kasb (the book of Earning a Livelihood) written by Muhammad Ibn Al-Hasan Al-Shaybani. Part 14: The Ranks of Earning and Their Legal Rulings. Earning is of several ranks. The first is the level of earning which is indispensable for everyone. This means that earning by which a person can lawfully strengthen his spine in individually incumbent on everyone, for the discharge of the obligatory duties cannot be attained except by it; and that by which the discharge of the obligatory duties is attained is in itself obligatory. If he thereafter does not strive to earn more than what is necessary, he is at liberty in respect thereof, because of the statement of the Prophet, “Whoever enters upon the morning in peace over his flock and healthy in his body, having food for his day, it is as though the entire world has fallen into his possession” [Narrated by al-Tirmidhi and Ibn Majah and al-Bukhari in al-Adab al-Mufrad]. The Prophet said to ibn Hubaysh, advising him, “A morsel with which you assuage your hunger, and a piece of cloth with which you conceal your shame (private parts of the body), and if there is also for you a shelter which shelters you, then all that is good; and if there is for you a riding animal which you ride, then it is most excellent” [Narrated in Majma’ al-Zawa’id and by al-Tabarani in al-Awsat]. This is when he is not in debt, but if he is in debt, then it is mandatory on him to earn an amount that pays off his debt, because paying off debt is incumbent on him as a personal duty, for the Prophet says, “Debts are to be paid off” [Narrated by Abu Dawud, al-Tirmidhi and Ibn Majah], and by earning this is attained. Likewise, if he has dependents like a wife and small children, then it is personally obligatory for him to earn an amount that is sufficient for up-keeping them, because providing for his wife is incumbent on him, for Allah Most High says, “Keep those women in the manner you live, according to your means” [Al-Quran, surah al-Talaq, verse 6], which also means, “provide for them according to your means,” and this is in the reading of Ibn Mas’ud may Allah be pleased with him. Allah says, “And it is the responsibility of the father to provide them with food and clothing properly. No soul is burdened beyond its capacity” [Al-Quran, surah al-Baqarah, verse 233]. He says, “And let one whose provision is limited spend of what Allah has given him” [Al-Quran, surah al-Talaq, verse 7]. This duty is most surely fulfilled by earning. The Prophet says, “If is sinful enough for a person to neglect those whom he is responsible to support” [Narrated by Muslim, Abu Dawud and al-Hakim]. Hence safeguarding oneself from committing sins is an obligation. The Prophet says, “Verily, your soul has a right over you, and your family has a right over you, so give to each right owner his right” [Narrated by al-Bukhari and al-Tirmidhi]. However the obligation to the latter is lower (in degree) than to the former (which you are first obliged to provide for yourself and then for your family or your dependents), for the Prophet says, “…then (feed) those whom you support” [Narrated in Sahih al-Bukhari and by Abu Dawud]. If he earns more than that which he stores for himself and for his dependents, then he is at liberty to do so, for it is narrated that the Prophet had food for his dependents stored up for a year, after he had earlier forbidden that [Narrated by al-Bukhari and Muslim], according to a narration that he said to Bilal, “Give away O Bilal, and do not fear any decrease from the Owner of the Throne” [Narrated by al-Tabarani]. The later (hadith) abrogates the earlier. If he has impoverished elderly parents, he is obliged to earn enough to provide for them because providing for them is a binding duty on him even if he is destitute as long as he is able to earn. The Prophet said to a man who came to him and said, “I wish to fight in the path of Allah with you.” He said, “Do you have parents?” He said, “Yes.” The Prophet said, “Return to them and fight” [Narrated by al-Bukhari and Muslim], that is earn and provide for them. Allah says, “And keep company with them courteously in this world” [Al-Quran, surah Luqman, verse 15]. It is not keeping courteous company to leave them both to die starving when he is able to earn, however this is lesser than the previous case in obligatorily, because of what has been narrated in a hadith that a man said to the Messenger of Allah, “I have one dinar with me.” The Prophet said, “Spend it on yourself.” He said, “I have another one.” The Prophet said, “Spend it on your dependents.” He said, “I have (yet) another one.” The Prophet said, “Spend it on your parents.” [A hadith similar meaning but different in wording is narrated by Abu Dauwd]. As for non-parents among the unmarriageable kin, it is not obligatory for a person to earn to provide for them, because providing for them is not a binding duty on him except in the case of one who is affluent, but it is recommended to earn and provide for them since in doing so there is connecting ties of kinship, and this is something recommended by the Law. The Prophet says, “There is no good in one who does not like (to have) wealth in order to thereby connect ties with his kinfolk, and to thereby honor his guest, and to thereby be beneficent to his friend” [Narrated by ibn Hibban]. The Prophet said to ‘Amr ibn al-‘As, “I desire for you a desire of wealth,” until he said (the words), “The most excellent wealth is for the virtuous man who renews relations with his kinfolk” [Narrated by al-Hakim and Ahmad]. The severing of kinship is prohibited because of the statement of the Prophet, “Three things are suspended by the Throne: blessings, trust and kinship. Blessings say, ‘I was shown ingratitude and not appreciated’; trust says, ‘I was betrayed and not nurtured’; and kinship says, ‘I was severed and not joined'”[Narrated by al-Suyuti in al-Jami’ al-Saghir traced it to al-Bayhaqi in Shu’ab al-Iman]. The Prophet says, “The joining of (bonds) of kinship prolongs (one’s) lifespan, while the severing of kinship takes away blessing from (one’s) lifetime” [Narrated by al-Quda’i in Musnad al-Shihab]. And the Prophet says in what he narrated from his Lord, “I am the Benelovent, and these are the wombs; I derived for them a name from my name, so whoever joins (ties of) kinship, I shall join him, but whoever cuts (ties of) kinship, I shall cut him (off)” [Al-Haythami says it is narrated by al-Bazzar]. There is something in the neglect to provide for kinfolk which leads to the severance of kinship, hence it is recommended to earn in order to provide for them. 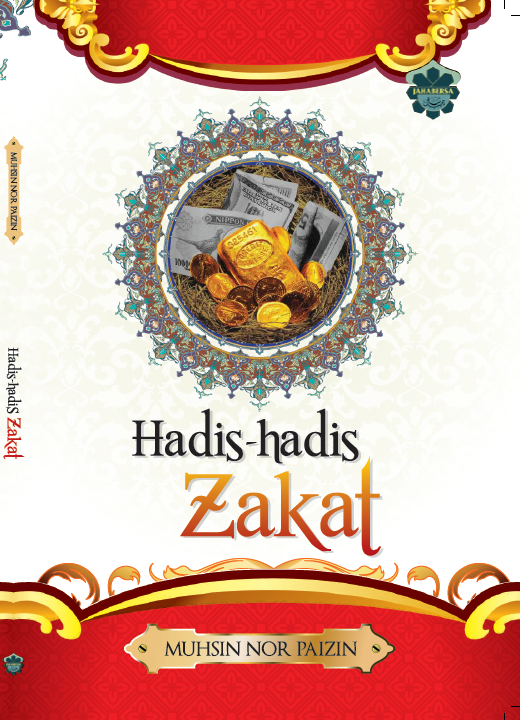 Shared Research Paper: Practice of Da’wah (Marketing) in Zakat in Federal Territory, Malaysia: An Observation.